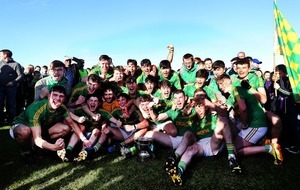 DONAGHMOYNE showed their worth as true champions as they withstood a real test of character against St Macartan’s to clinch their 10th Ulster Senior Club Championship title at Galbally on Saturday. The final score does not reflect how close this game was, and how Donaghmoyne, with their backs to wall, turned the game in their favour. With 12 minutes remaining, it was a one-point game. Donaghmoyne had led 1-7 to 0-5 as they took charge of the third quarter, but a goal from Chloe McCaffrey and a point from captain Cathy Donnelly in the space of four minutes had St Macartans right back in the game and indeed, they could have been in front only Paula Donnelly dragged her shot wide. With their title on the line, Donaghmoyne responded, hitting the game’s remaining 1-5 as St Macartans had no answer. Niamh Callan’s 52nd minute goal was so, so crucial in taking the sting out of their opposition’s tails. The young full-forward only had one thing on her mind and where many would have opted for a point, Callan blasted to the roof of the net. There was little love lost between the sides, who did not give each other an inch. Indeed, both teams finished with just 13 players apiece, referee Maggie Farrelly flashing two late red cards and two late yellow cards on top of three other yellow cards shown earlier in the second half. 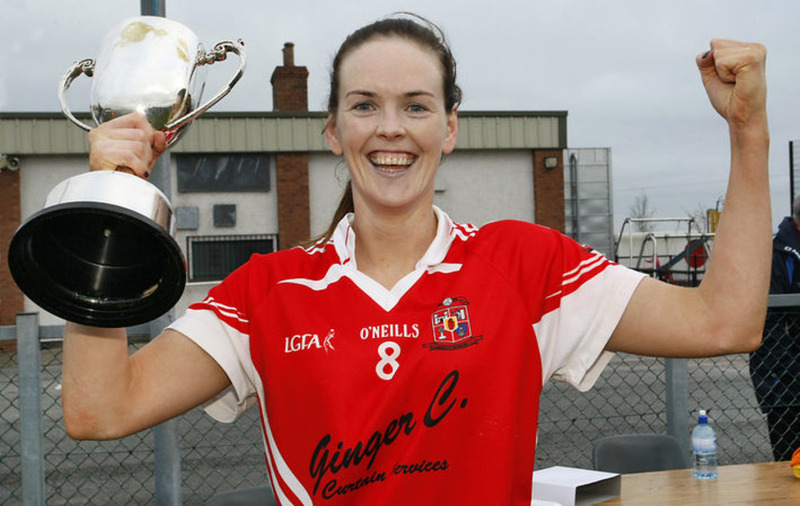 Cathriona McConnell, as she has so often done before for her side, rose to the occasion, finishing with 1-7 of her side’s total as she claimed the player of the match award. 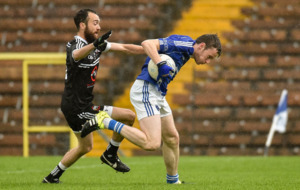 Donaghmoyne manager Francie Coleman said Callan’s goal came at a crucial time in the game. “It was a tough one. We beat a very good team, a very fit, physical team. We pulled through anyway and got a great second goal midway through the second half which eased matters. I think we were in control then, but it was a tough game,” he said. The sides shared four scores apiece in the first half but it was the champions who went in ahead at the break, 1-3 to 0-4. St Macartans led 0-2 to 0-1 after eight minutes before Donaghmoyne, through McConnell, hit the next 1-2, her goal coming in the 23rd minute when she slotted the ball past Niamh McKenna who had initially saved her penalty but could only parry it away back into the wing half forward’s path. But St Macartans who were appearing in their first final since 2009, finished the half strong with two points, from Chloe McCaffrey and Joline Donnelly, to leave two between them at the break. 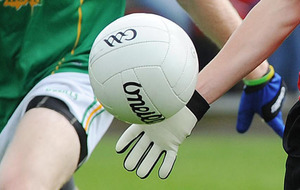 The Tyrone champions lost Maura McMenamin to the sin bin inside the opening minute of the second half and Donaghmoyne used that the numerical advantage to hit three unanswered points, all from McConnell. 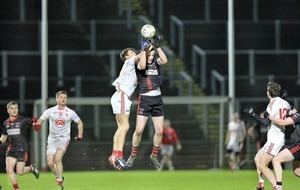 Donaghmoyne then lost Cora Courtney to the sin bin and it was St Macartans turn to capitalise. McCaffrey’s goal in the 45th minute made it 1-7 to 1-5 before Donnelly put just a point between them and all of a sudden this was anyone’s game. However, they were dealt a blow with the loss of Shannon McQuaid to the sin bin and it was then that Donaghmoyne took the game by the scruff of the neck with that 1-5 in a row, that included four points from frees. It was a niggley end to the game, that saw Maria Donnelly sent to the sin bin for St Macartans, her team-mate Shauna McGirr and Donaghmoyne’s Joanne Geoghegan receive straight red cards for an incident in which Farrelly dismissed them after consultation with her umpires, and Niamh Callan end up in the sin bin as well for the champions.